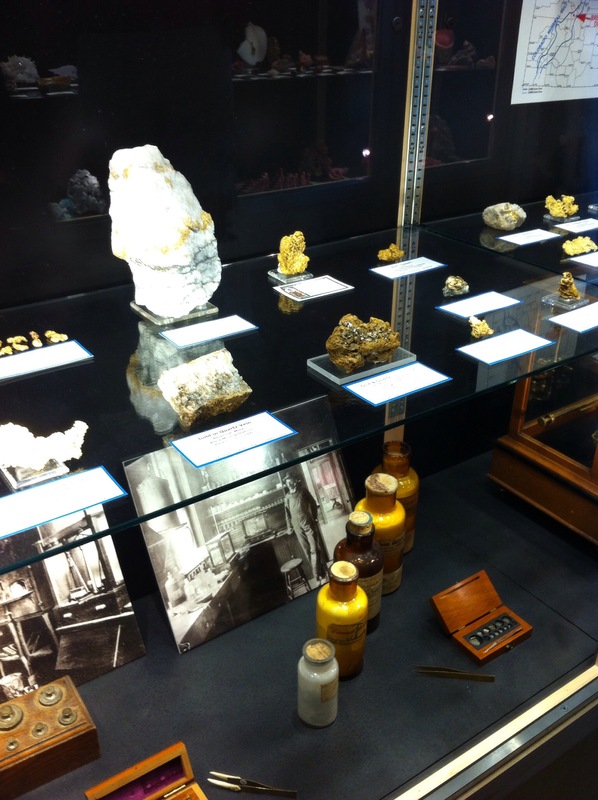 At the Colorado School of Mines Geology Museum, a changing collection of metals and minerals are on display, including several moon rocks. The two story building was surprisingly crowded for a summer Sunday afternoon on a college campus. 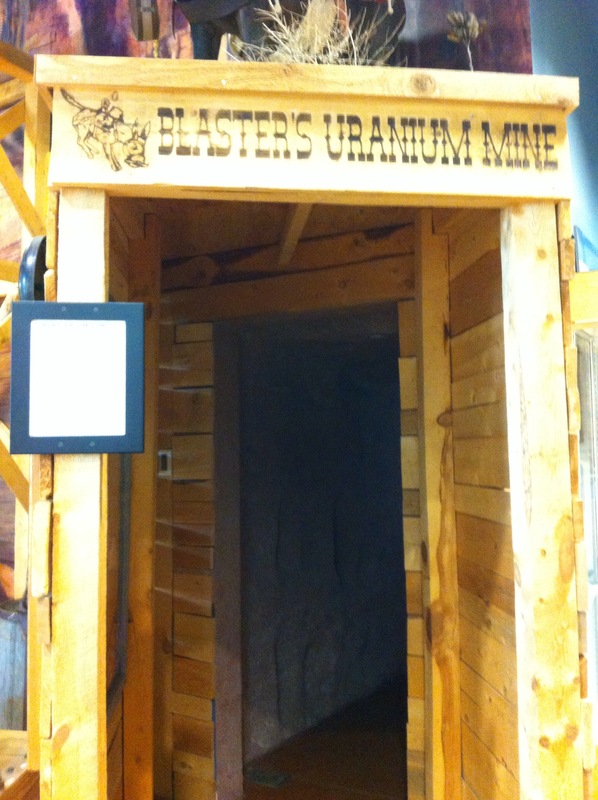 Boy was able to walk through a model of a uranium mine, and examine many pieces of gold found in and around Colorado. 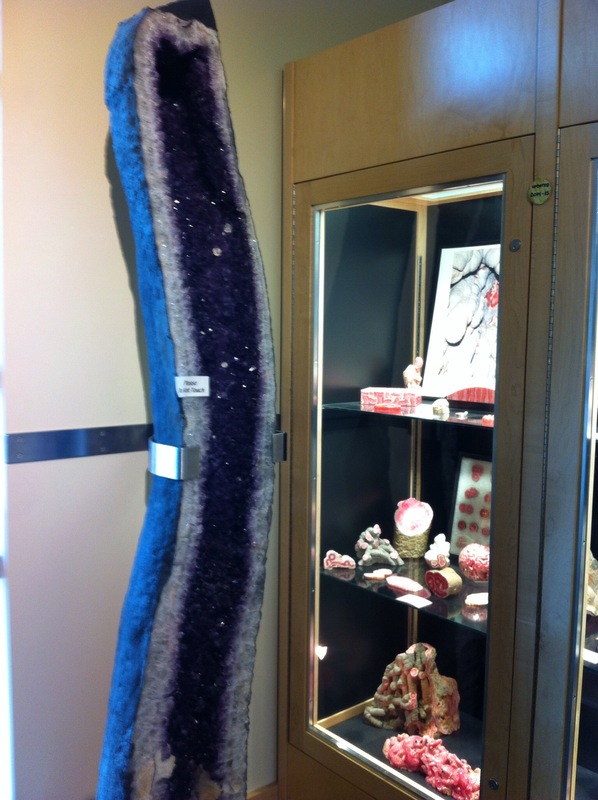 His favorite stop, however, was the gift shop, where he spent most of his allowance on brightly colored rocks and minerals. 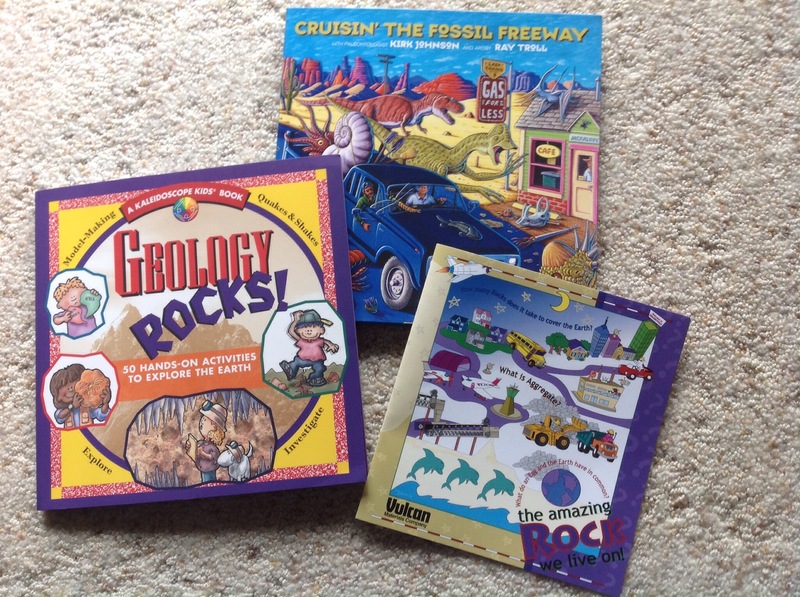 We added a few books to our collection, and got in some science reading in the car. 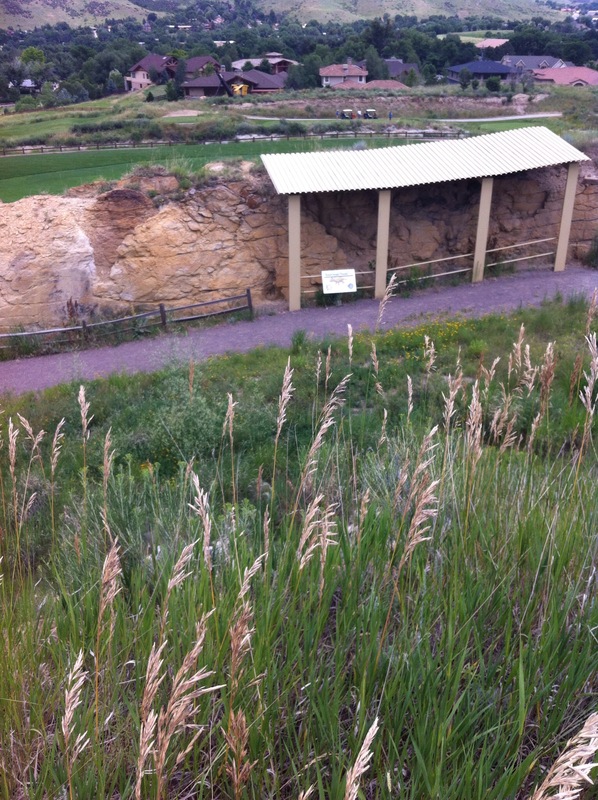 Leaving the museum, we ventured to the nearby Triceratops Trail in Golden, CO. 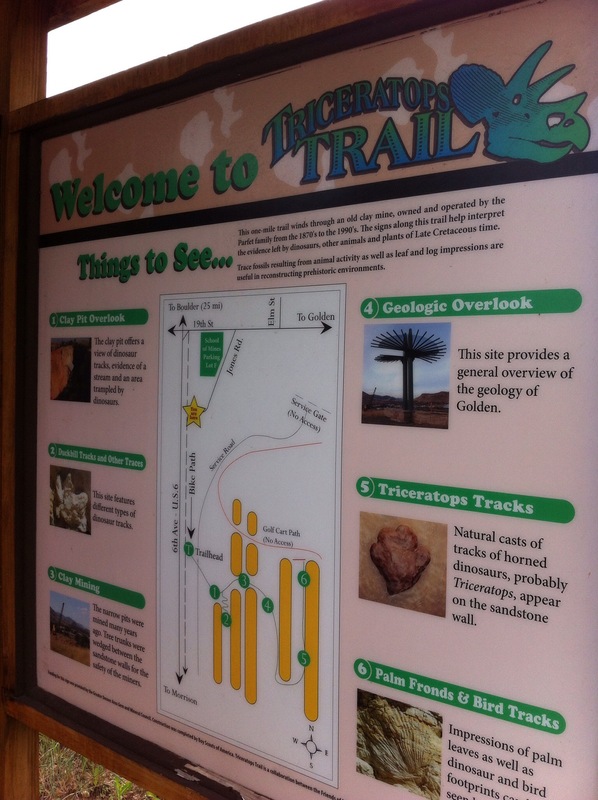 The one mile paved trail goes through an old clay mine where dinosaur tracks and plant impressions have been preserved in the rock face. 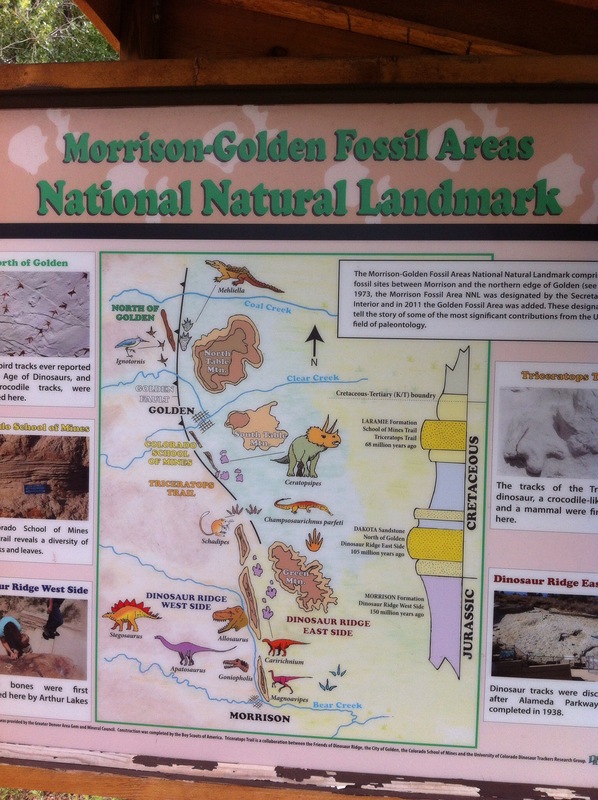 The Geology Museum and Triceratops Trail are part of the larger Morrison-Golden Fossil Area National National Landmark, a driving trail of dinosaur fossils and museums. We stuck to just the Golden part of the path this trip, leaving enough time to stop for a treat and some shopping in the historic downtown of Golden. The actual dinosaur footprints are protected from the weather by an awning. ← Something stuck in his brain!